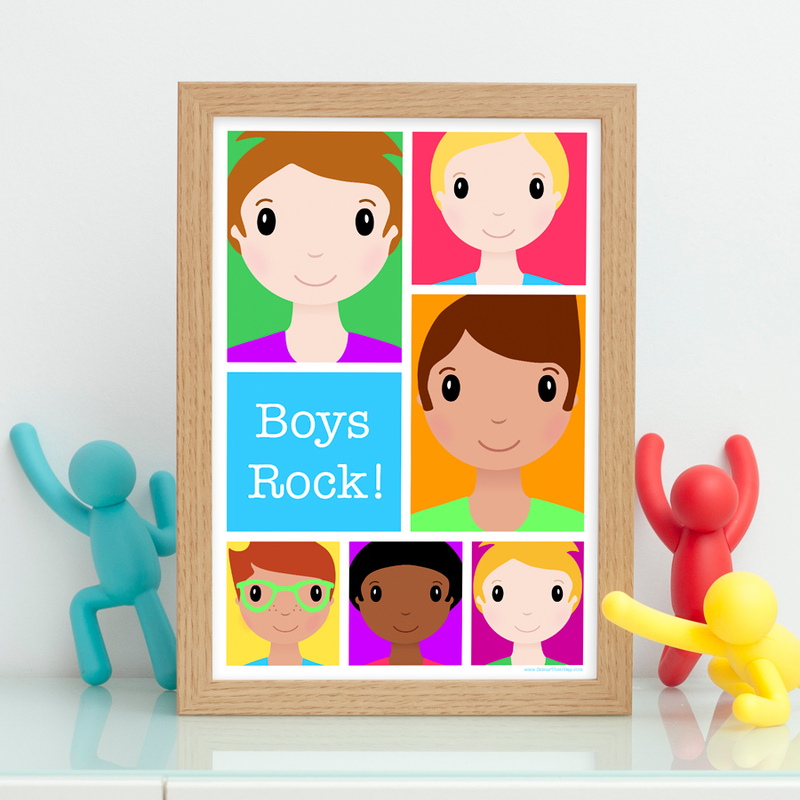 All boys think that boys are the best so this striking print displaying the words ‘Boys Rock!’ will be just up their street. A fresh and funky birthday gift or a cool addition to any boy’s bedroom. The design features six boy characters from the ‘Girls Rule Boys Rock’ range, encased inside a grid of multicoloured rectangles. The print is available in A4 unframed, A4 framed and A3 unframed. Be the first to review “Boys Rock A4 / A3 Print” Click here to cancel reply.